Life is full of unforeseen moments…Like when your doctor tells you that you have a life-threatening disease and that you need surgery (to take your heart out of your body) in order to make it work right again – yup, I’ve been there. It’s in those moments that you awaken the darkest emotions you never thought you could feel. When you realize that you’ve lost complete control – so you let go, and let God. This year, an estimated 246,660 American women will experience the unforeseen…they’ll be told they have breast cancer and their lives will change. Breast cancer is the most common cancer among American women but together, we’re preparing for the unexpected…we’re ready for war—equipped with a network of support and an army of resources. NAPW professional women are a positive force for awareness and education. Last month, NAPW Local Chapters created inspiring and thoughtful charitable networking events, bringing attention to breast cancer awareness, while raising funds for NAPW Foundation philanthropic partner the Breast Cancer Research Foundation (BCRF). They sparkled in Pink for Breast Cancer Awareness month and they looked fabulous! Helen and her team held a charity event to support the BCRF. Guest speaker, Maria Deire shared her inspirational personal journey. NAPW members and guests enjoyed a fun evening, which included dinner, music and raffles. $10 from each ticket sold and 100% from each raffle ticket went towards breast cancer research. Making an impact, one woman at a time! The more you know, the more equipped you’ll be to fight breast cancer! Jennifer and her team held an event to educate each other about breast cancer and share ideas on how to raise awareness. Guest speaker, Jennie Halstead from My Breast Cancer Support discussed Breast Cancer awareness as well as current legislation pertaining to the disease. My Breast Cancer Support is an independent NH 501(c)3 non-profit organization that provides financial and emotional support to breast cancer patients throughout the Greater Seacoast area of New Hampshire and Southern Maine. NAPW Professional women are problem solvers. Anne and her team held a ‘Mastermind Networking Event’ where attendees came prepared with issues that needed resolving. They received ideas, solutions and resources to help them move forward in their businesses and careers. 100% of proceeds from the event went directly towards the BCRF. A ‘sprint’ of support! Ruth and her team participated in the Run4Care 5k/10k run & family fun festival. 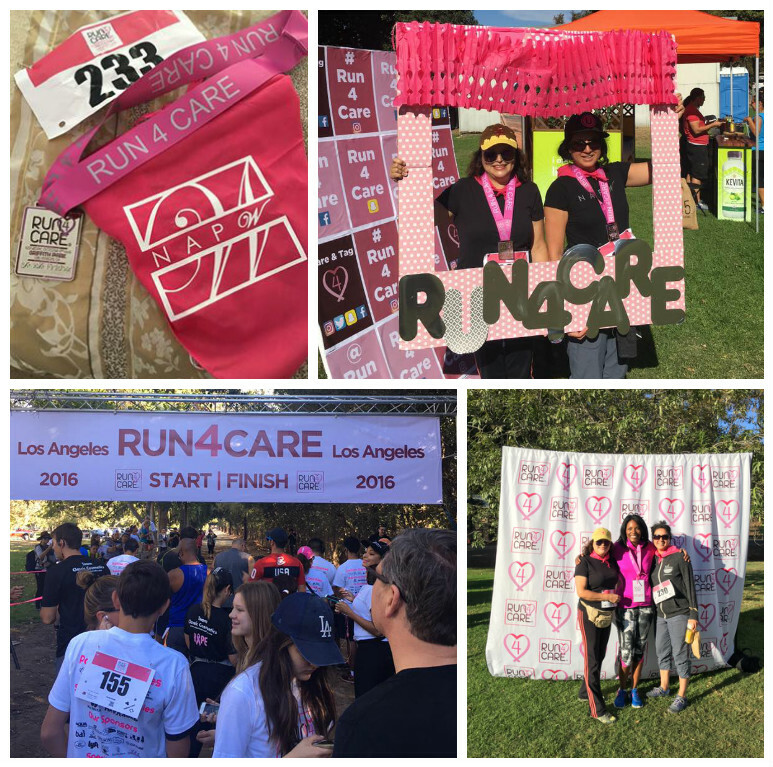 Run4Care is a small, but mighty team of givers and a couple of feisty breast cancer survivors who are committed to helping women get the financial, medical and psychological care they need to thrive and survive the big four: Breast Cancer, Heart Disease, Stroke and Diabetes. Keep up the great work, ladies! Early detection saves lives – from breast cancer and many other cancers. That’s why Janet and her team support the 501(c)(3) nonprofit Heavenly Mimi, a local 501(c)(3) nonprofit organization with a mission to make a difference in the lives of cancer patients by researching for a cure and providing financial assistance with screenings for early detection. 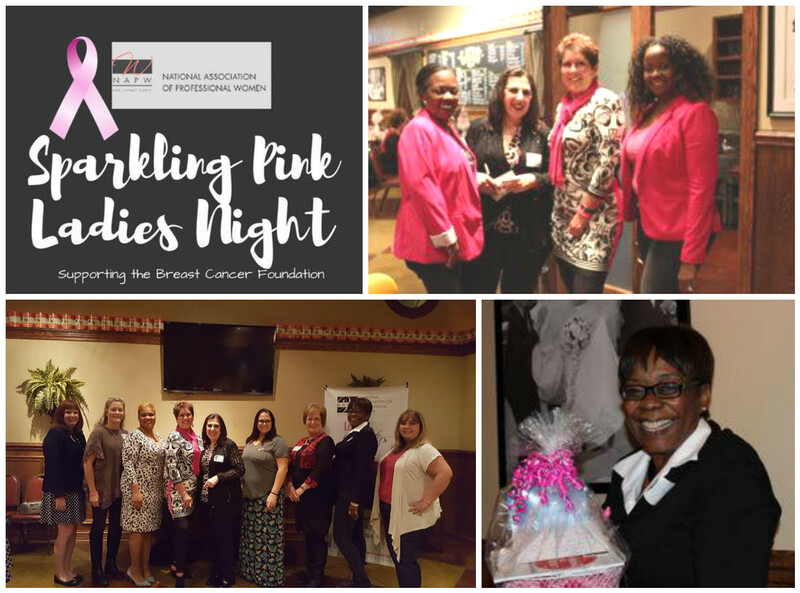 Throughout Breast Cancer Awareness Month, the Carrollton Chapter raised funds for the organization and awareness with networking and educational events. Thanks to NAPW Local Chapter Leadership teams and NAPW members for always giving it your all and investing your time and energy to make a difference. Together, we can put an end to breast cancer – I’m sure of it! We want to hear from you! What did your Local Chapter do to raise awareness last month? Please share your comments below.